Even though I'm miserable in even slight heat, I love summer. What's not to love about sunshine, dandelion wishes, fresh air, and playing outside? Okay, maybe it's not all great: sun burn, allergies and dehydration are all concerns when it comes to maintaining wellness in the summer months. A little preparation can go a long way. Here are some self care goodies I'm keeping on hand for summer. 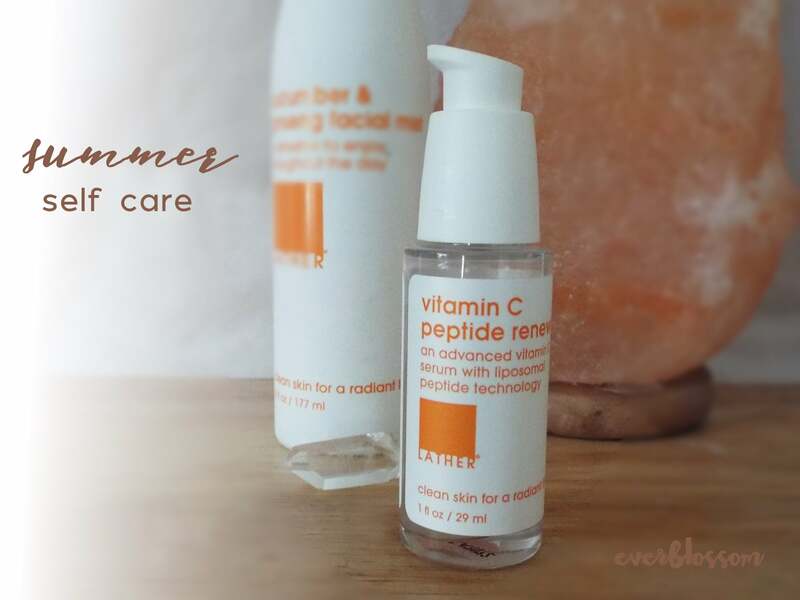 LATHER vitamin C peptide renewal serum – I am really conscious of how my skin looks, but who wants to wear a face full of makeup when it's scorching outside? This year is all about healthy skin that glows naturally so I'm making a real effort to stay committed to my skincare routine. 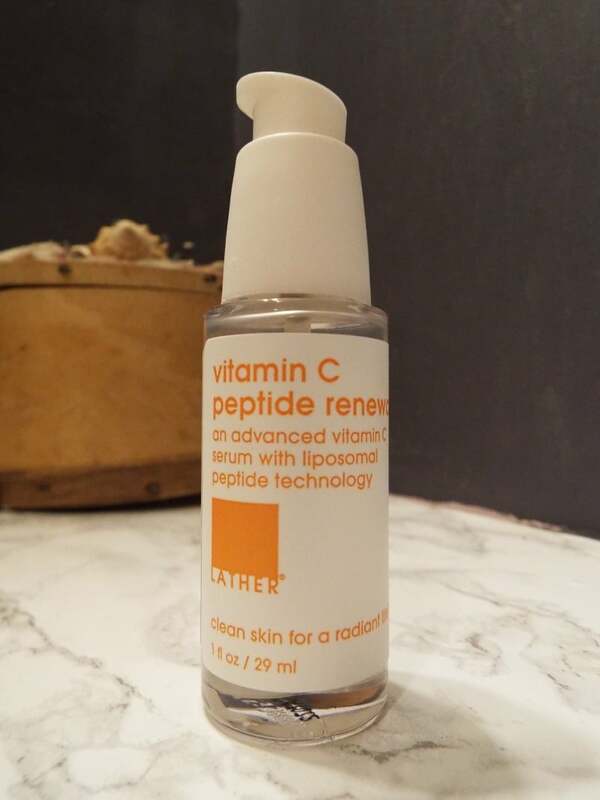 LATHER's vitamin C peptide renewal serum is giving. me. life. I only used it for 3 days before seeing results – a fresh new glow. 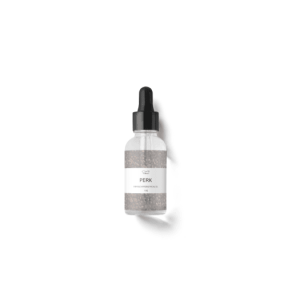 The serum helps your skin renew itself for a smoother, totally natural complexion. I'm obsessed. Iced tea – We keep the sun tea brewing constantly, on a rotation, around here. We don't want to run out! I alternate between green tea and black tea with lemon and honey. Shorts, finally – Seems like a no-brainer, but I'd like to thank the #bodypositive movement because I finally don't care about how huge my thighs are and am willing to wear shorts in public and be, you know, comfortable. Progress! Metallic nails – I'm just feeling 'em! 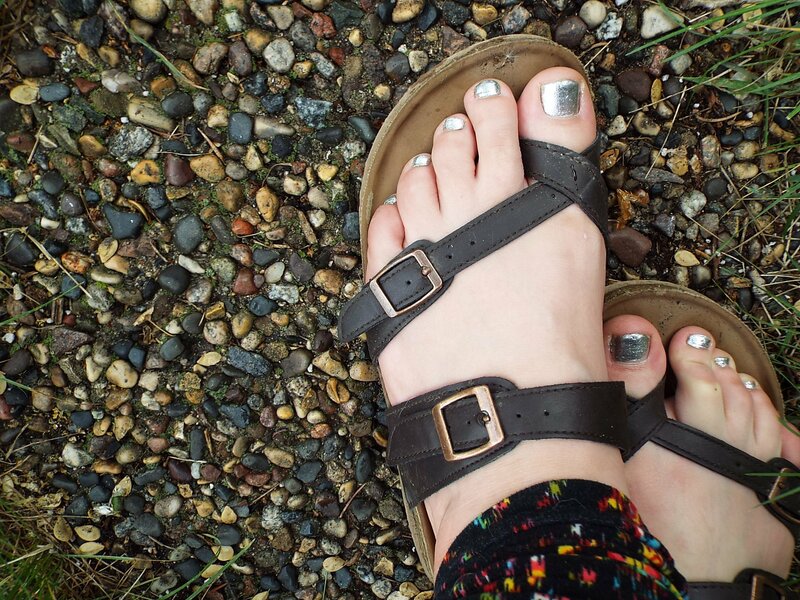 Evelyn and I have been using silver, but I want to get more colors and keep this trend going for the summer. A flirty bob – I've kept my hair long for pretty much my entire life except for 1 cut in my early teens and I'm so over it. I'm asking Megan for a jaw-length inverted bob next week and can't wait for less maintenance and less HAIR over these next few hot summer months. 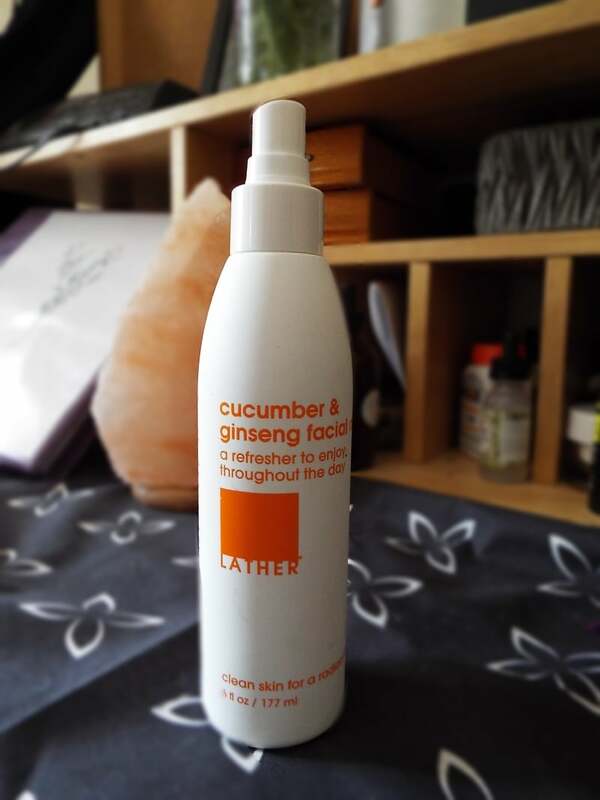 Cucumber & Ginseng facial mist – LATHER sent me this mist to try, and it was so nice to have when we attended a park party on a super hot day last week. It was such a cooling refresher that I'm just leaving this in my bag to tote with all summer. LATHER sent me the goodies I mentioned in this post to try out and also has a special offer for YOU, sweet readers. You can use the code Everblossom at checkout for completely free shipping on any LATHER order over $30. I love this brand: LATHER is a modern apothecary that has some of the most effective natural beauty products I've used. They use unique, clean ingredients and are cruelty free. You can check out some of their most loved products here. How about you? What are your must-have self care goodies for summer? Leave a comment and share your faves!